As these clients have meticulously made changes to their home, they have created a beautiful and cohesive palette of creams and warm tone materials and colors. 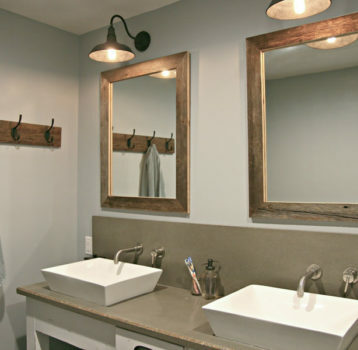 This master bath was near the end of the to-do list (don't miss the before pictures below) and was definitely an opportunity for a huge transformation. 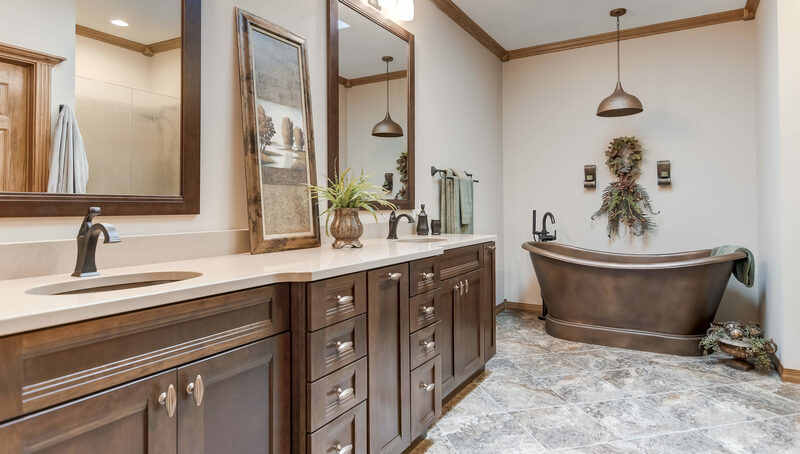 Rich warm cherry cabinets topped with Cambria quartz in Dover and double bowl undermount hammered copper sinks, copper finish slipper tub, Onyx Collection shower in Corinthian gloss, venetian bronze fixtures and specialty lighting. Simply lovely! 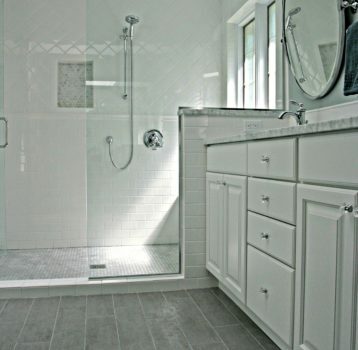 Before pictures reveal the ceramic tile, white "builder grade" vanity cabinetry and the aluminum framed shower door that has tormented every woman at some time in her life.